hmm, I guess I will add some more details about console and ssh connection to the wiki and add a test section to the assembly guides. gagadagatika wrote: I am going to update the Wiki page today with the components I used for my last build. I’ve got very positive responses back with those components so I am feeling confident enough to release it now. Assembly Guides for IO, RTC and SDRAM Boards are up to date now. nathan1974au wrote: Sorgelig! do you have the full parts list for your 5.1 io board? I am going to update the Wiki page today with the components I used for my last build. I’ve got very positive responses back with those components so I am feeling confident enough to release it now. I have added a setup guide for absolute beginners to the wiki. 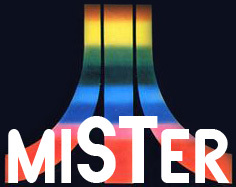 This might be a bit too basic for most MiST / MiSTer veterans here in the forum, but it will hopefully help completely new users with their first setup. Do you have something particular in mind? Brutal man with a hat sounds already oddly specific. Sorgelig wrote: and that gradient is fallen down Amiga V sign?